Summary: Erickson Consulting Engineers, Inc. (ECE) provided coastal engineering services to evaluate the current beach conditions and erosion patterns as well as identify corrective measures to ameliorate for erosion and provide protection to the beaches fronting the Camp David property located in St. Jean Bay, St. Barths. The assessment included a site reconnaissance of the beaches as well as obtaining and evaluating historical photographs and activities for the purpose of determining the cause of the beach erosion. 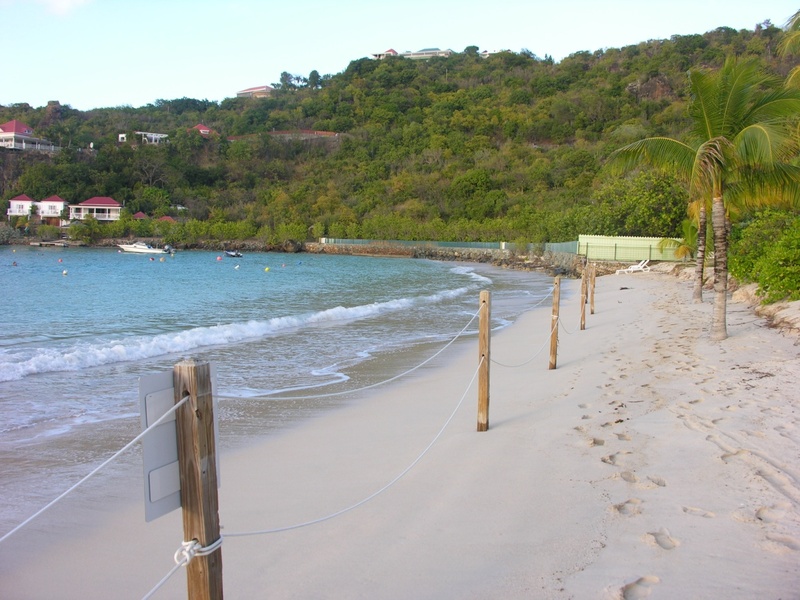 At present, erosion rates are increasing at St. Jean Bay due to both human actions (physical modifications to beach/dune system) and climatic changes (rising sea level and higher incidence of storms). 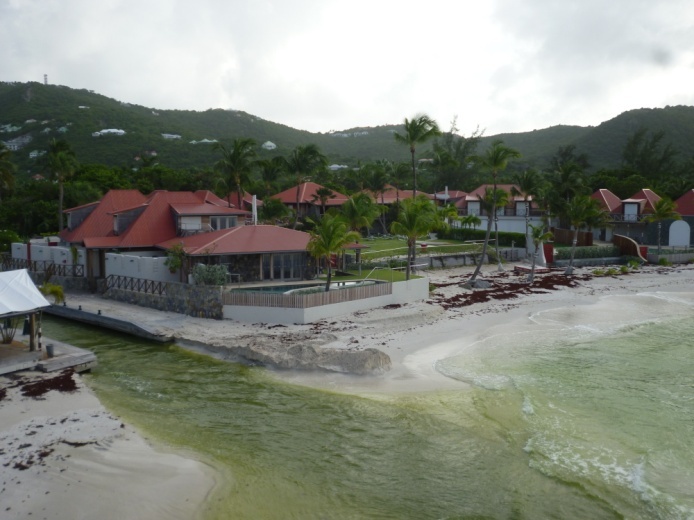 As a result, the beach fronting the Camp David property is experiencing a chronic loss of sand to both the nearshore and offshore environments resulting in erosion and inundation during normal seasonal storms. Without intervention, this erosion will continue resulting in the loss of sandy beach for recreation and storm protection. Short Term Solution: Construct a flexible buried shore protection system that prevents upland inundation during periods of high erosion, and addresses long term erosion until a long term solution is implemented. In concert, remove or redirect the existing stormwater discharge adjacent to Camp David property to another channel north of Eden Rock. Long Term Solution: The long-term solution will reduce the impacts of factors contributing to the increased sand losses and instabilities that characterize the present system using nearshore submerged breakwater reefs. The presence and configuration of these reefs will reduce currents moving sand out Little St. Jean Bay and prevent covering of seagrass beds and thereby damaging the adjacent coral reefs.